On Thursday 24 January 2018, Le Cordon Bleu Paris institute students took part in the first career day of 2018, organized at the Institute. 9 companies took part in the event: chefs, prestigious establishments, and hotel groups came to meet the students. Oetker Collection (Le Bristol), Evian Resort, Eric Kayser, Hyatt Group, Mandarin Oriental, Plaza Athénée, Yannick Alleno, Ritz Paris and the Shangri-La. “I am extremely grateful to the Institute for organizing this event! We get the chance to meet prestigious establishments, it is an amazing opportunity” enthuses Anisa Usmanova, Cuisine Diploma student. Students on all Diplomas were given the opportunity to spend a day meeting recruiters from these establishments. “We constantly take on interns. The career day provides us with the opportunity to meet future employees and makes the whole process easier for the students” Laure Mauger, Head of Recruitment, the Ritz Paris. The students began by getting to know the different companies: their history, locations and career prospects. “The Career Day is very well organized; it is a great opportunity for us to meet recruiters and understand their expectations” explains Diego San Miguel, Boulangerie Diploma. 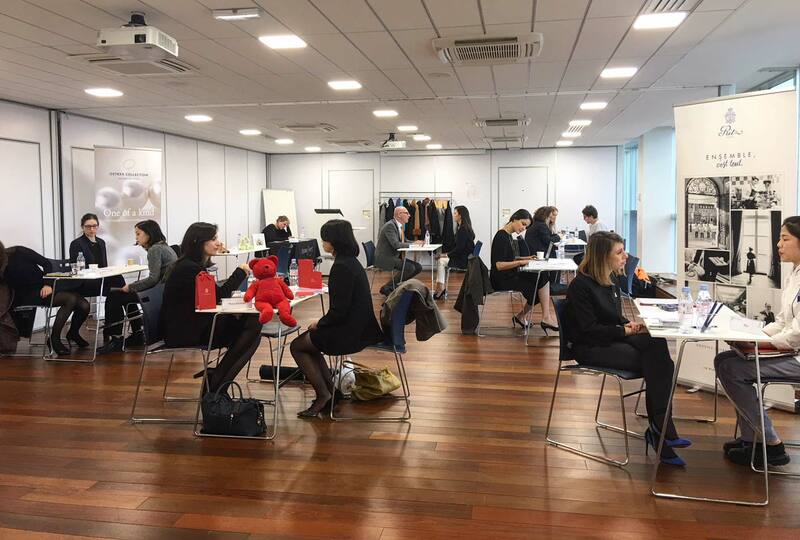 Each student then had the opportunity to talk to recruiters during individual meetings in order to ask questions and see what job vacancies might be open to them (internships, Temporary and Permanent Employment Contracts) both in France and abroad. “It is similar to the commitment we make to our apprentices: knowledge transfer. It is important to meet the young generation in the profession”, explains Christophe Moret, executive cuisine chef at the Shangri-La Paris. Sandrine Szymanski, Recruitment Manager at Maison Kayser adds “Maison Kayser regularly trains interns from Le Cordon Bleu Paris institute, several of whom have been taken on permanently. The career day makes it easier to meet future employees”. In cuisine, pastry, boulangerie and hospitality management, our students will soon be taking internships, and our graduates finding employment, in these companies.